BenYishay, A., Trichler, R., Runfola, D., & Goodman, S. (2018). Final Report: Evaluation of the Infrastructure Needs Program II. Williamsburg, VA: AidData at William & Mary. 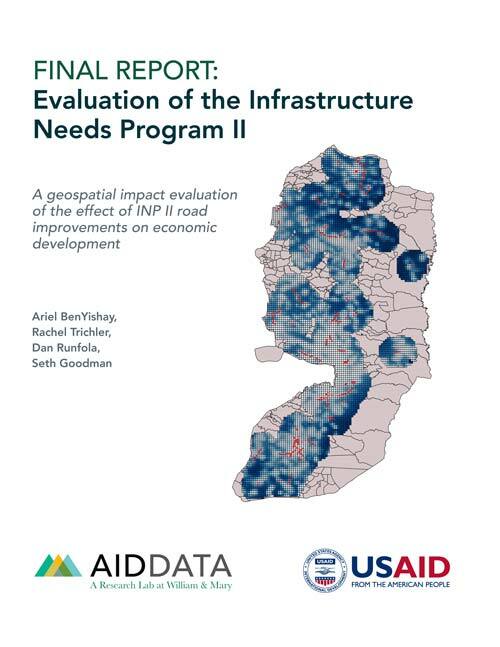 AidData and USAID/West Bank and Gaza have collaborated to conduct an evaluation of the Infrastructure Needs Program (INP) II, which funded the construction of water infrastructure, road networks, and schools with the ultimate goal of improving the Palestinian economy. 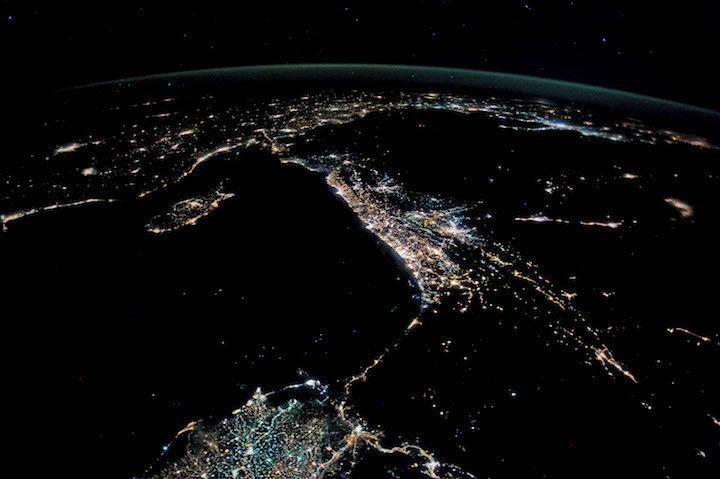 We conduct a geospatial impact evaluation, which utilizes program data provided by the Mission on the timing and location of road improvements and remotely-sensed nighttime lights outcome data to determine the program’s impact on economic development. 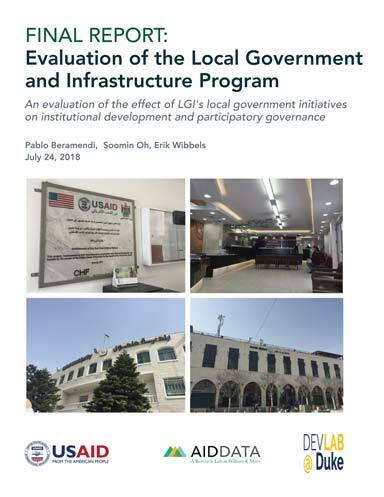 Funding: This evaluation was funded by USAID/West Bank and Gaza through a buy-in to a cooperative agreement (AID-OAA-A-12-00096) between USAID's Global Development Lab and AidData at the College of William and Mary under the Higher Education Solutions Network (HESN) Program.